Biomass Crop Assistance Program (BCAP). Every spring, the US Department of Energy, Office of Energy Efficiency and Renewable Energy’s Bioenergy Technologies Office hosts a 2-day conference and expo exploring biomass as an energy source. The Bioenergy Technologies Office works with industry, academia and national laboratory partners on a balanced portfolio of research in biomass feedstocks and conversion technologies. Click here for summaries of the workshop discussions and downloadable presentations from Biomass 2011. Click here for summaries of the workshop discussions and downloadable presentations from the Biomass 2010 conference. Click here for summaries of the workshop discussions and downloadable presentations from the Biomass 2009 conference. 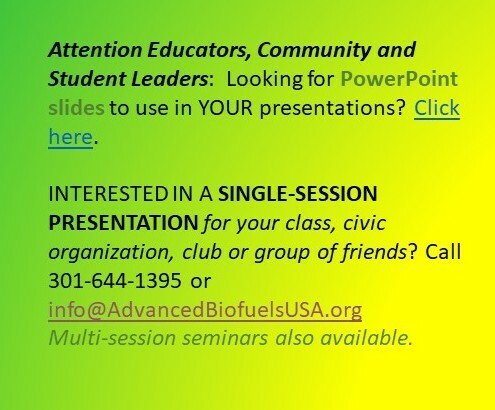 Click here for summaries of the presentations from Biomass 2008 which focused on the role of biofuels in reducing the nation’s addiction to oil. Presentations from the Biomass 2008 conference. Some presentations from these conferences have been summarized, available by clicking on the categories: Presentations Biomass 2009 and Presentations Biomass 2010 and Presentations Biomass 2011 along the right margin of each page on this site. All Programs in the U.S Department of Energy, Office of Energy Efficiency and Renewable Energy, are required to conduct a Peer Review of their funded projects on an annual or biannual schedule. The Bioenergy Technologies Office (BETO) conducts these reviews by hosting a series of Project Peer Reviews for each of the technology platforms in the Program. 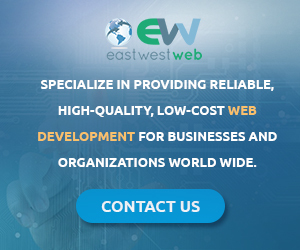 Information and outputs gathered from these Platform Reviews are then considered in the context of the whole program at a separate Program Peer Review Meeting. The Peer Review Process helps to ensure that the Biomass Program obtains independent assessments of the current Research and Development portfolio, through a rigorous, transparent, and time-proven process. The information will be useful as the Biomass Program considers future funding and portfolio balance decisions. Additionally, the Peer Review Meetings provide stakeholders the opportunity to learn about the latest advances in state-of-the-art biomass energy technology developments funded by the Federal government. The presentations at these reviews provide an indepth, technical view of progress in the various areas funded by this US Department of Energy program and are available online. Greenhouse gases, Regulated Emissions and Eenerty Use in Transportation (GREET) Model: With support from the Biomass Program, as well as other DOE programs, including the Vehicle Technologies, Fuel Cell Technologies, and Geothermal Technologies programs, Argonne National Laboratory (ANL) has completed and released a new version of the Greenhouse Gases, Regulated Emissions and Energy Use in Transportation (GREET) Model. The new model, GREET1_2011 features many new expansions and updates, including new algae pathways to produce biofuels, new pathways for renewable gasoline and diesel production from pyrolysis of cellulosic biomass, and new options to account for energy uses and emissions associated with the construction of petroleum and natural gas wells and coal mines. To learn more about GREET1_2011 and get the free download visit ANL’s GREET website. The U.S. Energy Information Administration collects, analyzes, and disseminates independent and impartial energy information to promote sound policymaking, efficient markets, and public understanding of energy and its interaction with the economy and the environment. EIA provides a wide range of information and data products covering energy production, stocks, demand, imports, exports, and prices; and prepares analyses and special reports on topics of current interest. For example, they have a Frequently Asked Questions section to address topics about renewables. The Bioenergy Knowledge Discovery Framework (KDF) is an extensive online collaboration toolkit for information sharing. Researchers and engineers from national laboratories, academia, and private industries are encouraged to register for an account in order to upload files, customize information online, and exchange knowledge with others. 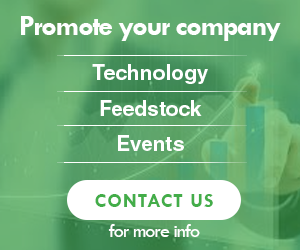 In addition, the Bioenergy KDF provides you with a platform to publicize results and connect with consumers in need of information. Bioenergy Frequently Asked Questions Available Online Want to learn more about bioenergy? Visit the DOE Bioenergy Technologies Office’s newest Web page to find answers to some of the most frequently asked questions (FAQs). The Bioenergy FAQs page addresses a variety of topics, including biomass production capabilities and innovative methods to produce bioenergy in the United States. Visit the National Renewable Energy Laboratory’s (NREL’s) updated Biomass Analysis Technologies Web page to learn about laboratory analytical procedures for standard biomass analysis. These procedures help scientists and analysts understand more about the chemical composition of raw biomass feedstocks and process intermediates for conversion to biofuels. Visit the Web page today to see all of the exciting new features, including drop-down lists, easy-to-find calculations, FAQs, videos, and more. The Alternative Fuels Data Center (AFDC) provides information, data, and tools to help fleets and other transportation decisions makers find ways to reduce petroleum consumption through the use of alternative and renewable fuels, advanced vehicles, and other fuel-saving measures. The AFDC launched in 1991 in response to the Alternative Motor Fuels Act of 1988 and the Clean Air Act Amendments of 1990. It originally served as a repository for alternative fuel performance data. The AFDC has since evolved to offer a broad array of information resources that support efforts to reduce petroleum use in transportation. The AFDC serves Clean Cities stakeholders, fleets regulated by the Energy Policy Act, businesses, policymakers, government agencies, and the general public. The AFDC is a resource of the U.S. Department of Energy’s Clean Citiesprogram and administered by theNational Renewable Energy Laboratory. Project assistance is available through Clean Cities, the deployment arm of the U.S. Department of Energy’s Vehicle Technologies Program. Clean Cities works with thousands of stakeholders in communities across the country to reduce petroleum use in transportation. Find links to alternative transportation news and an archive of features on the AFDC. Read publications and access tools in Spanish about alternative fuels and advanced vehicle technologies. 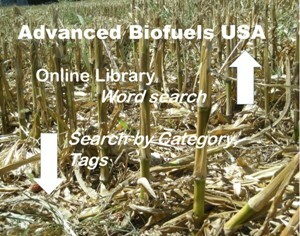 To focus the most advanced biotechnology-based resources on the biological challenges of biofuel production, the Department of Energy (DOE) established three Bioenergy Research Centers (BRCs) in September 2007. Each center is pursuing the basic research underlying a range of high-risk, high-return biological solutions for bioenergy applications. Advances resulting from the BRCs will provide the knowledge needed to develop new biobased products, methods, and tools that the emerging biofuel industry can use. The Great Lakes Bioenergy Research Center (GLBRC) is one of three BRCs established by the Department of Energy Office of Science, and the only one based at an academic institution. The additional BRCs are the BioEnergy Science Center (BESC) led by Oak Ridge National Laboratory and the Joint BioEnergy Institute (JBEI) led by Lawrence Berkeley National Laboratory. All three centers are working collaboratively to develop a new generation of biofuels. Each center represents a multidisciplinary partnership with expertise spanning the physical and biological sciences, including genomics, microbial and plant biology, analytical chemistry, computational biology and bioinformatics, and engineering. Institutional partners include DOE’s world-class national laboratories, universities, private companies, and nonprofit organizations. These institutes are at the forefront of research and innovation involving bioenergy and biofuels production. They have the history, technology and resources available to lead the nation towards a renewable, sustainable, domestic energy industry. Clean Cities strives to advance the nation’s economic, environmental, and energy security by supporting local decisions to adopt practices that contribute to the reduction of petroleum consumption. Clean Cities has a network of approximately 90 volunteer coalitions, which develop public/private partnerships to promote alternative fuels and advanced vehicles, fuel blends, fuel economy, hybrid vehicles, and idle reduction. Clean Cities is part of the Office of Energy Efficiency and Renewable Energy’s Vehicle Technologies Program. A national network of nearly 100 Clean Cities coalitions brings together stakeholders in the public and private sectors to deploy alternative and renewable fuels, idle-reduction measures, fuel economy improvements, and emerging transportation technologies. The Alternative Fuels and Advanced Vehicles Data Center (AFDC, formerly known as the Alternative Fuels Data Center) provides a wide range of information and resources to enable the use of alternative fuels (as defined by theEnergy Policy Act of 1992), in addition to other petroleum reduction options such as advanced vehicles, fuel blends, idle reduction, and fuel economy. This site is sponsored by the U.S. Department of Energy’s Clean Cities initiative. All of the National Laboratories have some programs that provide basic scientific research or have other involvement supporting development of advanced biofuels. The following links connect to key programs in this area at each National Lab. On the National Renewable Enery Laboratory, Golden Colorado, web site, visitors can find a map that plots locations of ethanol plants and alternative fuel stations, including propane, hydrogen, E85 ethanol blends and other alternative fuels. Link to Map Partial Instructions See the Educational Resources page for other interactive maps. NREL also teamed with EPA to publish the State Bioenergy Primer, a 104 page book covering everything community leaders need to focus their thoughts on how to incorporate bioenergy into their infrastructure. NREL’s Bioenergy Atlas which consists of two visualization screening tools, the BioPower Atlas and BioFuels Atlas. These maps allow you to compare and analyze biomass feedstocks, biopower and biofuels data from the U.S. Department of Energy (DOE), U.S. Environmental Protection Agency (EPA), and the U.S. Department of Agriculture. The Oak Ridge National Laboratory staff have developed an interactive Bioenergy Knowledge Discovery Framework which supports efforts to develop a robust and sustainable bioenergy industry. The KDF facilitates informed decision making by providing a means to synthesize, analyze, and visualize vast amounts of information in a relevant and succinct manner. Biomass Crop Assistance Program (BCAP) provides financial assistance to producers or entities that deliver eligible biomass material to designated biomass conversion facilities for use as heat, power, biobased products or biofuels. Initial assistance will be for the collection, harvest, storage and transportation costs associated with the delivery of eligible materials. Producers or entities will be eligible for up to a dollar per dollar match, up to $45 per dry ton, for the value of the biomass that is delivered to a designated biomass conversion facility. For example: if a producer is paid $30 per dry ton for the biomass by the conversion facility the producer would be eligible for a $30 per dry ton payment for the costs associated with collecting, harvesting, transporting and storing the product. Producers will be eligible for up to two years of payments. Advanced Hardwood Biofuels Northwest (AHB) is a consortium of Northwest university and industry partners led by the University of Washington. AHB is working to prepare Washington, Oregon, Northern California and Northern Idaho for a sustainable hardwood biofuels industry. Sustainable Bioproducts Initiative involves a team of university and industry partners led by the LSU AgCenter, studying the regular production of biomass for economically viable conversion to biofuels and bioenergy using existing refinery infrastructure. Through new and existing industrial partnerships, this project will use energy cane and sweet sorghum to help reinvigorate the Louisiana sugar and chemical industries. CenUSA Bioenergy is an ambitious Iowa State University-based, USDA sponsored, research project investigating the creation of a Midwestern sustainable biofuels system. The Southeast Partnership for Integrated Biomass Supply Systems (IBSS) demonstrates real-world solutions towards economically and environmentally sustainable production and conversion of biomass-to-biofuel in the southeast United States (SE US). This Partnership is helping to meet the USDA goal of producing almost 50% of the next generation of biofuels in the SE US, while supporting robust and innovative research, education and extension activities. The Northeast Woody/Warm-season Biomass Consortium (NEWBio) is a regional network of universities, businesses, and governmental organizations dedicated to building robust, scalable, and sustainable value chains for biomass energy in the Northeast (NE). Driven by the broad societal benefits that sustainable bioenergy value chains could provide, NEWBio aims to overcome existing barriers and dramatically increase the sustainable, cost-effective supply of lignocellulosic biomass while reducing net greenhouse gas (GHG) emissions, enhancing ecosystem services, and building vibrant communities. Led by Penn State University, NEWBio includes partners from Cornell University, SUNY College of Environmental Science and Forestry, West Virginia University, Delaware State University, Ohio State University, Rutgers University, USDA’s Eastern Regional Research Center, and DOE’s Oak Ridge National Laboratory and Idaho National Laboratory. Three perennial feedstock production systems will help realize the NEWBio vision: (1) coppice production of willow (Salix sp. ), a short rotation woody crop and warm-season grasses, including (2) switchgrass (Panicum virgatums) and (3) miscanthus (Miscanthus x giganteus). The Defense Advanced Research Projects Agency (DARPA), The Defense Department has been directed to explore a wide range of energy alternatives and fuel efficiency efforts in a bid to reduce the military’s reliance on oil to power its aircraft, ground vehicles and non-nuclear ships. The goal of the BioFuels program is to develop an affordable and highly efficient alternative process of converting crop oil to a JP-8 surrogate. The primary technical objective of the BioFuels program is to achieve minimum 60% conversion efficiency, by energy content, of crop oil to JP-8 surrogate and identify development opportunities to achieve 90% efficiency. The cost and availability of the necessary feedstock materials will be considered. The development of conversion process technologies compatible with oils from a broad range of crops, potentially including new crop stocks selected specifically for their oil harvest, is preferred. The current deliverable is a minimum of 100 liters of JP-8 surrogate to be tested in a suitable DOD test facility. The desired outcome is a JP-surrogate fuel that is suitable for current JP-8 military applications. The Continuous Lower Energy, Emissions, and Noise (CLEEN) Program is our principal NextGen environmental effort that will develop and demonstrate new technologies, procedures and sustainable alternative jet fuels. Under the program, the FAA awarded five-year agreements to Boeing, General Electric, Honeywell, Pratt & Whitney, and Rolls-Royce. These companies will match or exceed the awards in this cost-sharing program. The total federal investment is expected to be $125 million, making the total expected value of efforts at least $250 million. The CLEEN companies will participate in a government-industry consortium. The consortium will work to develop technologies that will reduce noise, emissions, and fuel burn to enable the aviation industry to expedite integration of these technologies into current and future aircraft. Safety and transition strategies that enable “drop in” replacement for petroleum-derived aviation fuels. Drop-in alternative fuels will require no significant modifications to aircraft and engines and with a goal of performing more efficiently, and cleaner than current fossil-based fuels. Summary of US government incentives related to biofuels as of September 15, 2010. American taxpayers spend over $100 million a year to fund the Congressional Research Service, a “think tank” that provides reports to members of Congress on a variety of topics relevant to current political events. Yet, these reports are not made available to the public in a way that they can be easily obtained. Open CRS provides citizens access to CRS Reports that are already in the public domain.